I have 4 Sandstill, when i try to use it during in battle, nothing happend. Why? Hm second person today with the same question. 1. You must hold the sandstill icon down on the bottom right corner when battling boss. 2. If it doesnt engage when you first hold it down, take your finger off and try hold it down again. 3. Make sure you have sandstill in your inventory. 4. Try installing and re installing the app. 5. If none of the above work, try contacting Ninja Royale customer support. Going to try to use sandstill on my own later. Maybe sandstill is being buggy? I just tried using sandstill and it works fine for me. thx, i will try again. I have my own odd issue and I sent a support ticket to attempt to get it fixed/compensated. Sadly I haven't gotten a reply (non-automated at least) for 2 days going on 3 (24 hours eh? lol..). Anyway, my issue is that using sandstills against yaichi so that you finish him during the bonus time yields no bonus clouts. I tried this twice and it failed. Admitedly, I used the sandstill in the last 2 seconds of the first fight both times (otherwise it works...) but even then, you have 16 or 17 seconds of bonus time (10 in the initial battle and once you are out you usually have 6 or 7 seconds left to finish him off... Usually you don't run into him again until the bonus is off.) to finish him. Knowing this, the sandstill gives you 5 seconds of free attacks. So the grand total is 13 seconds for the whole battle, yet the bonus clouts still don't register. This makes me wonder, is it the sandstills that are bugged, the timer or the timer when a sandstill is used (most likely the third option). Anyhow, this is obviously the wrong place to post this, but I'm sorta new to the forums (as in I'm rarely here, so I still don't quite know where to post stuff..) so please forgive me. Is there some sort of bug report section that I missed? Also, I requested to have my 2 sandstills back or maybe enough mobacoins/koban to buy 2 more. Is that even possible? Honestly I have never tried using sand stills on a super boss... But you should have enough time to beat him with some time left. Just make sure you press "ok" as soon as he is killed because his defeat will not be registered until you press ok...otherwise time will still tick and you may miss the chance. Zithorio wrote: I have my own odd issue and I sent a support ticket to attempt to get it fixed/compensated. Sadly I haven't gotten a reply (non-automated at least) for 2 days going on 3 (24 hours eh? lol..). It sounds to me you're using it during the second encounter which makes it impossible to finish it in bonus time. It will work the first time you get him. My advice is do not waste sandstills on a superboss. I believe the total timer on the super boss is 20 seconds, that means you have to have killed and claimed your points within that 20 second period, otherwise you will not get the bonus points nor clouts. This is from first hand experience as I've killed a superboss within the first turn, but did not claim until about a minute later after being distracted and I did not get the bonus. Having said that, I agree with Canatian. It is a waste to use your standstills on the superboss, especially since you have a higher chance of getting MVP (6500pts) on the level 45 event boss. Sorry for replying so late. I left my computer for a few hours there. Anyhow, I only use a couple sandstills on superbosses every now and then to guarantee the 350 clouts. One of you replied by saying that you think I'm using the sandstills during the second encounter. That is not the case. I even said that I use them in the last 2 seconds of the first fight.. Moving on, if there's 20 seconds of bonus time like you say, and I use the 5 second sandstill at the 8 second mark. That puts me at 13 seconds. In which case, everything should be fine. My issue is, in this event only, that isn't working properly. I will finish Yaichi and say I don't hit 2 crits but I want the 350 clouts and the first fight is almost up, I pop a sandstill. This let's me finish the fight in the bonus time. I check the clouts and I only get 50. That is an issue, I wasted a sandstill that I could have used on a REAL boss for mvp. Yes, I normally do use them for the team battles, sometimes though (especially when there's like 5 hours left in an event and I'm only on floor 13..) I use sandstills on the Yaichis. I've never encountered this before and to test it out to make sure the bug actually happens and that I didn't botch something, I sacrificed a second sandstill. If I use a sandstill right off the bat, it's fine. If it looks like I'm not gonna finish the Yaichi in the first fight, I pop a sandstill and that's where the glitch happens. I hope that clears this up. Remember, even though you used the standstill at 8 seconds, there is still at bit of lag that the end that says you win or you lose. Was corrected by Mafia, SS = 10 seconds, which means you have no time left. You definitely lose. It's not a glitch. I did the same thing before. I used a standstill at the last second in the battle. Because of this the battle went on longer than the bonus time lasts. Therefore, it does not give you the extra clout. Very stupid but that's the way it is. Then why is this the first time that it's ended like that? Once you click the first ok btw, the clouts are given... If it says 350, you get 350. I checked to make sure I did nothing wrong and wasn't late to follow up with pressing ok. I definately finished before 20 seconds. EDIT: I guess I should have mentioned this before. When I came out of the fight both times I had 3-4 seconds of bonus time at which point I finished everything by pressing ok. Telling me that I didn't serves no purpose, I DID. Sandstills stop the timer... I know this because it says it and over the last 5 crackdown events I have seen that it works like that. If it didn't then you'd be right, I'd get out of the fight with no time left and I'd have learned to not bother with superbosses 5 crackdown events ago. However, you're wrong, sandstills do and have stopped the timer for their 5-10 seconds and you have always been able to get the bonus clouts. That is until this particular crackdown event anyway. I understand that you have been trying to help (at least I hope you were, half these posts seemed a little on the pessimistic side...) but telling me information that I've come to know is true, is actually false, when it is indeed true, is not helping the situation. I KNOW for a FACT that this is the first time that this hasn't worked properly, kindly stop telling me otherwise. Zithorio wrote: Then why is this the first time that it's ended like that? Once you click the first ok btw, the clouts are given... If it says 350, you get 350. I checked to make sure I did nothing wrong and wasn't late to follow up with pressing ok. I definately finished before 20 seconds. First of all please don't make it look like that this is an argument and who right and who wrong. We all just trying to figure out why it may not be working. If you KNOW that it does not work in the last 2 seconds of the battle then don't use it at that time. Use it at the beginning. As far as mobage refunding your two sandstills I really don't know if they will or not. Sorry, that wasn't my intent ._. I'm really sorry though, there's like one day left of the event and the support hasn't replied with a non-automated response in 3 days and I'm angry/confused/worried. I'm detecting pessimism that isn't even there... Ugh, I'm sorry. Rough week. Zithorio wrote: Sorry, that wasn't my intent ._. No worries hun. We all get frustrated with mobage at some point. I hope in the end it all works out for you. Mobage wants you to be their sugar daddy and buy more sandstills so they can fund their gambling/coke/krispy kreme donut addiction. i dont know about the gambling n coke part, but definitely the krispy kreme for sure. Agreed with Mafia's post up top. As a added note, the sandstill does not stop the clout timer. It stops the battle time. The clout timer is still ticking in the background. So what u did was u stacked on 10 secs more time for urself to finish the battle. What u should be doin is using ur SS right from the start and ur 10 secs battle time doesn't stack with ur SS time essentially keeping the battle 10 secs long. Oh my god. I finally got a reply from support. It's a bloody joke. They replied with a tutorial on how to fight superbosses. I'm so done with this game. This is just a bad freakin' joke. I can't even believe it. They disn't even address the issue. They literally said 'perhaps the confusion was caused by blah blah blah'. I'M NOT CONFUSED! How do I even react to something so absurd? Lol?! I sent them a reply going WAY more in-depth about superboss encounters and why this particular issue is a bug. If they don't send a half intelligable response I am DONE. No money for them Mobage. Too bad, so sad. If what you say is true... How do you explain how it's been working for the last 5 crackdown events? Did they change it or did I have the luck streak of a lifetime. I HIGHLY doubt the latter because my luck is so abyssmal it's actually funny. Seriously! The last 5 crackdown events, I have used sandstills at the last second, 2 seconds, 3 seconds of battles and I would get the clout bonus. That, to me, means that the way it works has either changed without notice or it's bugged. 5 crackdowns, that's 3.5 months give or take a week. That's a LOOOOONG time for something to be working 100% and then now for it to just stop... Something does not add up.. I swear, this HAS to be an automated response. Thank you for contacting DeNA. 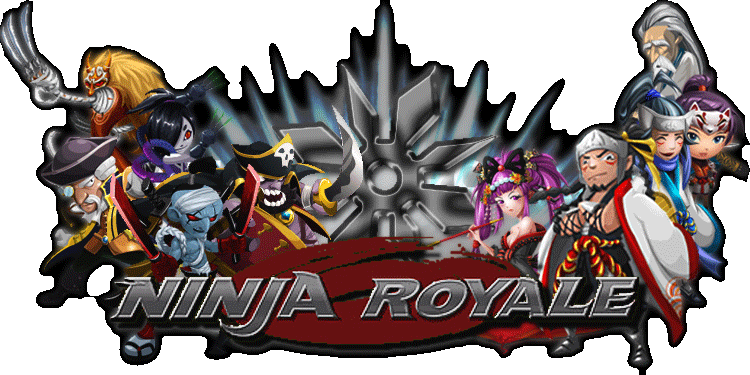 This is the Ninja Royale Support Team. Thank you for the reply, and for the information. Regarding this case, we would like you to note that the bonus time counting starts at the moment of the encounter with the Super Boss; this is when the boss icon appears in the mission ground. In cases where you do not get into the first fight soon enough after the encounter, the bonus time will run out. Furthermore, note that the time will be counted even during loading before you enter the battle screen. If you were experiencing a lag with your device at that time, we are afraid that it might have caused the situation. We are sorry for the confusion again and appreciate your understanding. Do I look like I need a tutorial on basic superboss battles? Wtf? Is there any way to ACTUALY get through to them? Please help. I'm desperate, I have enough real life issues as it is and I'm just so looped right now. Surely there's a hero on this forum somewhere! Right? Ok......lets try this again. Clout timer still ticks when there are lag, the beginning equip screen, during battle, during sandstill when u use it, during the time when he is dying, during the stat screen, and during ur prize screen. Now maybe u were playing on good internet those other 5 crackdowns and had no lag and u lucked out on those precious seconds. U could have had lot of lag this time around and that is y ur failing. Don't say that u've been playing on the same internet and u shouldnt be getting lag. Internet fluctuates a lot all the time so dont bring that in the argument. Do u remember that little phrase whenever u play a game that is online? "gaming experience may vary during online play." Well maybe ur gaming experienced changed. So then, maybe ur right and they might of changed it. Who knows. Cuz u are the first case i have ever heard anybody would ever use a sandstill on a superboss @ 2-3 secs before the fight ends. Most ppl, if their gonna commit a SS on a superboss they use it right off the bat, I just dont understand ur reasoning for using it that late into the fight. Is it cuz u think u can have a chance at killing at stage 13+ but when u realize u cant, u use it? I'll tell u one thing though, u only have like a 5% chance of ever killing a superboss at stage 13+ without SS. With that ratio it would be smarter to just use the SS right at the beginning and not chance it. Now for the mobage respond, I think they did the correct action. Most of the time I hate mobage too but in this case I think they handle it fairly. I think ur problem is lag issues. U'd be surprise how much lag can take out of ur clout time. Only advice i'll give u is, u are really giving urself a very small window to killing the superboss. Thats like running a race then standing 1 inch from the finish line waiting till all the other competitors come within a half step next to u. Ur cutting it way to close. You know..? That is one of THE best counter-arguments I have EVER seen on a forum. For that, you have ALLLLLL the respects. I salute you. That is a VERY well designed argument and you executed it and got the point across brilliantly. Now, even so, I don't think it's lag. When you see 5ish seconds on the bonus timer after a last second SS battle victory and you read 'clouts 350' or whatever and you press ok but only notice 50 dropping... That just doesn't seem like lag to me. Seriously though, earth would be amazing, not just a better place, it would be fkin AMAZING if there were more people like you on the forums! Thank you. I tried to explain it as best I could. I don't blame Mobage tho, krispy kreme donuts are really good. Gotta get that fix, know what I mean? The sandstill DO NOT stop the time for the super boss. What it does is that it freezes the super boss for you so you can hit it to your hearts content. And they give you 10 seconds of boss freezing time. In the meantime the timer is still ticking. If you used up 10 seconds to reach that point of battle, your SS will use up the remaining 10 seconds and you will be outside the bonus clout timer. Just kill it normally if possible. And if you are going to use SS, use it early so that the SS timer is within the bonus clout timer. The reason it might not be working while it worked last time was maybe Mobage did reduce the timer for super boss. Usually after I leave the battle, I have about 6-9 seconds left. I still can get those. But then again, I am using a new phone on 4G so by right should be less lag... which means Mobage might still have shave off a couple of seconds of the timer. Either way, I would still advise using the SS early because I have never gotten more than 10seconds of leftover time, which means SS will definitely eat up the bonus clout timer if leaving it late. PS- You want to know what's buggy, 6 hits with 2 criticals on stage 16. Boss should be dead. He was walking around with 0% health. The 6th hit is always right at the timer, but somehow it didn't get killed although pretty obvious it was dead.